Does the guy above look familiar? Come on, dig deep. If I said the word O-Town would that help? Okay, now you've got it. 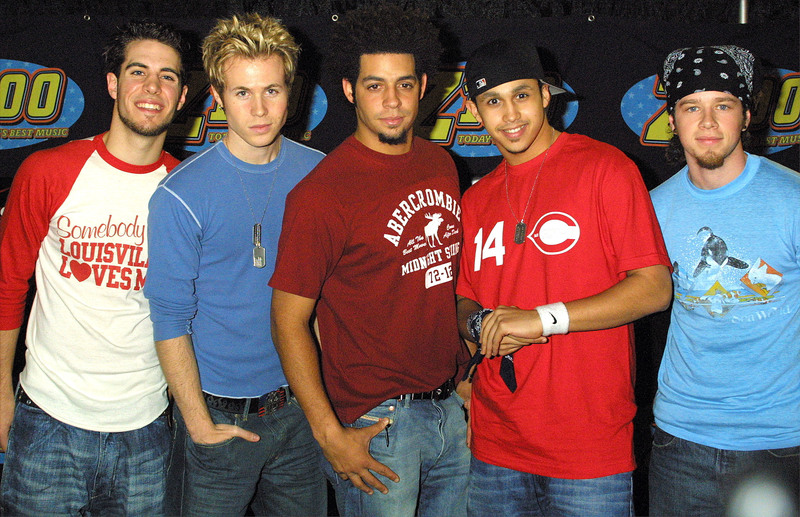 This is Ashley Parker Angel back in the day when hair that was frosted and gelled up was cool because you were 12 and didn't know any better. These days, Ashley Parker Angel is looking a little different and he's posting his differentness all over his Instagram page. If, all these years later, you're still in the mood to ogle a guy you've never met, you might want to scroll down. In the years since O-Town, Parker Angel (Or is it just Angel? I can't call him that.) worked on his solo career, which was documented on MTV's There and Back, acted in Hairspray on Broadway as Link Larkin, and had a child with his ex, model Tiffany Lynn. His son, Lyric, is now 8 years old. Oh, how time flies! Fun fact: Lyric's birth was filmed for There and Back and was the first birth aired on MTV. Is Ashley Parker Angel responsible for 16 and Pregnant? You decide. The absolute best fact about Parker Angel is that his real name isn't Ashley Parker Angel. It's Ashley Ward Parker. HE ADDED THE ANGEL. That is insanity. Does he want to sound like a Precious Moments figurine?! He captioned this, "One thing I learned from my time in a boyband: always take pictures with a cute puppy." It is only one of many pictures of his dog in costume. And he's also the best at captions. "Valentine's Day throwback! haha #PopstarMagazine #OTOWN #ValentinesDay #WTFisupwithmyhair #peroxidedisaster #ChannelingMyInnerBillyIdol"
That is impressive! Bonus points for the NoH8 t-shirt and tattoo! He wrote, "Getting to the gym 5 days a week has been challenging but it's starting to pay off. #staymotivated." Uh, sure. It's "starting to pay off." Ashley Parker Angel also likes fishing for compliments.